The Sales & Marketing Division is best for the individuals who have good communication and convincing skills. 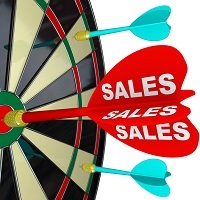 The ultimate aim for every organization is to increase the sales. Thus, companies are willing to offer good salaries to deserving candidates. Companies prefer candidates with MBA Degrees. We endeavor to act as a common platform for the job seekers and the hiring companies as we help them explore their chances of working together. We have suitable candidates for the position if Sales Engineers, Marketing Head, Sales & MARKETING Executives, Team Leaders, Trainers, etc.